It’s my 40th birthday today, 40 is the new 30, right? 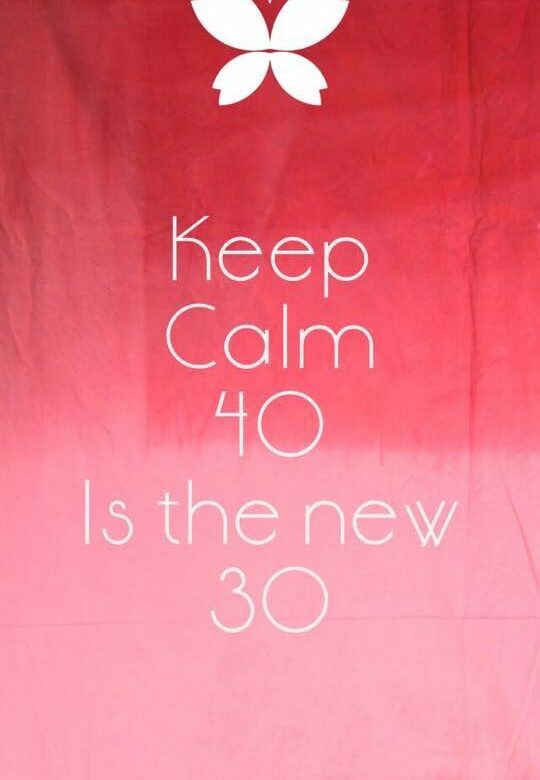 I keep hearing that 40 is the new 30 and seeing as it’s nearly the end of my 40th birthday, I’m hoping it’s true! I’ve had a wonderful day. 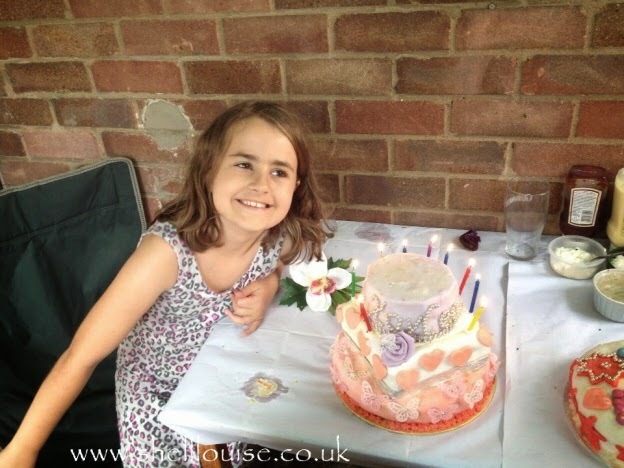 My gorgeous Kaycee made a delicious cake; she put so much effort into it then cried because she’d been pushed for time and it wasn’t turning out how she wanted it. 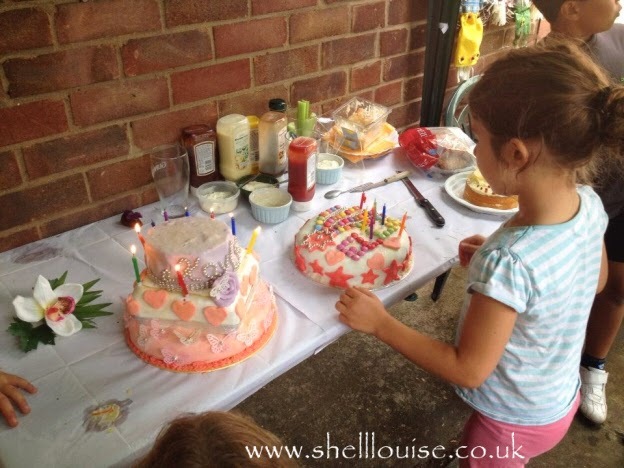 She’d had trouble with the first 2 cakes she made; someone probably me, had put the wrong flour in the jar so she used plain flour instead of self-raising. She was trying to make a chocolate cake but they tasted more like chocolate brownies. She used cookie cutters to cut them into different shapes. I kept telling her that I loved the fact she had taken so much time to make me a cake. It didn’t matter what it looked like because I knew it was going to taste delicious, no matter what. She cheered up when I gave some suggestions as to how she could cover the sides using the cut-out chocolate brownie pieces she’d accidently made earlier! It tasted delicious, as I knew it would. I now have to resist having another slice because as from tomorrow I’m back on the diet! 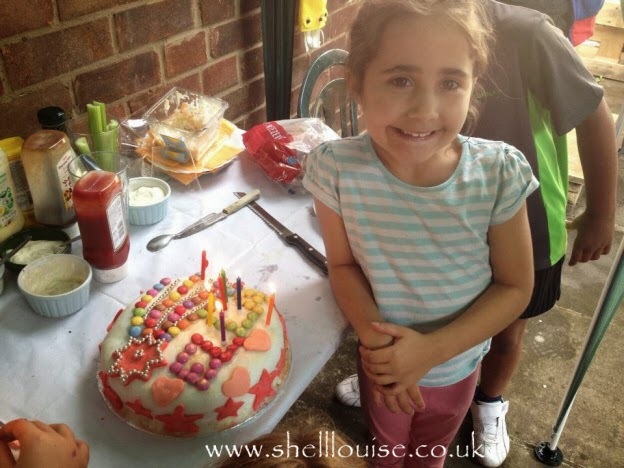 I had a birthday BBQ on Sunday. Some of my family came from Derbyshire to celebrate with me and I had a really lovely afternoon. My girls spent the afternoon in the pool with their cousins and they all had a brilliant time. I got to spend time with my boy. He’s been at his dad’s since he left school a few weeks ago and is staying there for most of the summer. I also loved seeing my mum and dad who I don’t get to see often enough. My stepdaughter, Kellyann made me a wonderful birthday cake.